Dave Cornthwaite is a British adventurer, author and motivational speaker. 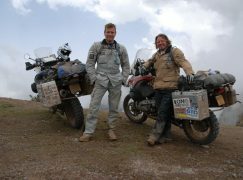 Probably best known for his Expedition1000 project, an ambitious series of twenty five non-motorised journeys of at least 1000 miles in length, Dave has travelled the world, seeking adventure and raising money for charity in any way he can. In the Summer of 2011 Dave became the first person to Stand Up Paddleboard the length of the Mississippi without motorised assistance, breaking two world records along the way. Before that, he skateboarded from John O’Groats to Lands End; skated 5824kms from Perth, Australia to Brisbane; dated 100 girls in 100 days and completed a two and a half month, 2476km expedition along Australia’s largest river, the Murray! As if that wasn’t enough, in February 2011, Dave spent three weeks in Asia, getting over vertigo by learning how to paraglide in preparation for a 1000-mile flight over Nepal. One month later, he completed his 3rd journey of Expedition1000 by pedalling a tandem bicycle 1400 miles in 14 days from Vancouver, BC to Las Vegas. So Dave, Has anybody ever told you that you were crazy? I’ve lost count! Funny thing though, that being crazy is a natural reaction to chasing your passions, I feel like the sanest man alive. It’s not something I’ve had from an early age, just a realisation that new things are the fruit of creativity and that after wasting five years of my twenties I needed to re-engage my dying brain cells. Testing myself physically and mentally became a lifestyle. 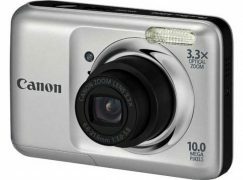 What did your friends and family think when you told them what you were planning way back in 2006 when you skated the length of Britain? Most of them didn’t get it, at least not until they had a chance to talk to me face to face. You know someone means to do something when you see it in their eyes. My poor parents just resigned themselves to having a poor eldest son. Six years on, nothing is a surprise for them anymore. I’ve just returned from California putting in place the early stages of a few new expeditions, one being travelling 1000 miles underwater by human powered submarine. Friends didn’t even blink at that one. Which of your adventures has been your favourite and for what reason? My favourite Expedition1000 journey was last summer, a 2404 mile descent of the Mississippi River by Stand Up Paddleboard, such a beautiful, simple way to travel. 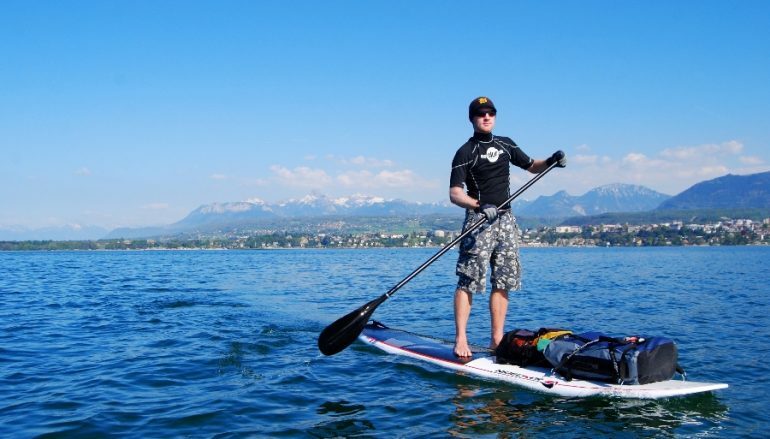 The best small journey was also on a Stand Up Paddleboard, the length of Lake Geneva in April 2010. Why did you decide to start Expedition 1000? I’d completed two large expeditions previously and drifted afterwards, I knew I could achieve most things but lacked focus. Expedition1000 drew that out of me, I needed to get things in order, shape my career and ensure that I didn’t waste a second. 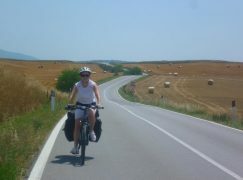 It could be perceived as daunting, still having another 21 1000+ mile journeys remaining, but I love the challenge. Whirlpools on the Mississippi, learning to paraglide in Nepal, snakes on Australia’s Murray River, getting caught out by a freak snowstorm in Australia’s snowy mountains at the top end of the Murray – lucky to escape that one. In 2007 I tried to find a girlfriend by Dating 100 Women in 100 Days, Date No. 16 was pretty terrifying! What do you hope to achieve from Expedition 1000? Honestly, I don’t think about the project in terms of achievement. Just putting one expedition together from a blank sheet of paper and an idea all the way through to physical completion gives immense satisfaction, but all I set out to do was make a living from my passions and it’s already coming true. I’ve always done charitable work in some respect but I wanted to raise £1,000,000 as part of the project – a big challenge for someone not on the telly! I’ve been involved with the AV Foundation since I was 19, they improve infrastructure in East African schools enabling the kids to concentrate on their education. CoppaFeel! Is an inspiring breast cancer awareness charity with a difference. They don’t invest in research, rather strive to encourage people to be aware of their bodies and deal with any abnormalities before it’s too late. Which upcoming Expedition are you most looking forward to and why? I’m working with Pangaea Explorations on a 3500 Pacific Sail from Mexico to Hawaii in March. Ten people from all walks of life will be joining the voyage, which is much more than a sail. It’s all about personal development, ocean awareness and self discovery: think a TED conference in the middle of the ocean. Then later this year I’m swimming 1000 miles down the Missouri River, can’t wait for that one. You’ve spent quite a bit of time in Australia. What is it about this country that appeals to you the most? The people are pretty chilled out but Oz is riddled with varying landscapes and challenges. I suppose being a redhead with fair skin I can’t help but send myself off to one of the most climatically volatile places in the world! What advice would you give to anyone who wants to do something adventurous, something different but isn’t sure whether they’re capable? Stop thinking you’re not capable. Everyone is. Everyone out there could do the expeditions I make a living from, the hardest bit is making the decision to get out there. After that there’s no looking back. Haha, well, the government would probably class me as living below the poverty line and I work harder than most people I know, yet I’m happier than I’ve ever been. It takes some compromise, sure, but anyone who thinks they can’t experience adventures like mine simply don’t want to go on an adventure. It’s not hard, you just decide to do it instead of hiding behind excuses. I’ve done it before, we all have, but at some point you have to wonder whether life is meant to be lived inside four walls; I’ve come to the conclusion that it isn’t. What do you think is the best way for travellers to ‘give back’ to the communities they pass through? Maintain an open mind, learn as much as we can when travelling and be generous, not just with money but with time. Sharing our communal knowledge and the ability to communicate beyond tradition and culture and lifestyle holds the answer for changing out world around. At the moment I honestly believe that our collective priorities don’t do much good for ourselves or our planet, so opening up and realising we don’t need so much to live happily is a good start. How would you sum up your philosophy on life? We’re here, we don’t have much time, so don’t waste a second. 3500 miles of sailing in March, a run around Wales in May, 1000 miles of swimming in August and then a cycle across Canada in Winter, who says the world is going to end in 2012?! Where can we see more about your adventures? My website is at www.davecornthwaite.com, I’m @DaveCorn on Twitter and Expedition1000 is the name of my Facebook group. My latest book, DATE, is on Amazon. 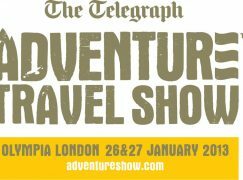 You can hear more from Dave at the Adventure Travel Show on the 28th and 29th of January. He will be joining the ranks of Ben Fogle, Charley Boorman, Monty Hall and James Cracknell to name but a few; who will all be sharing their stories of adventure. It’s gonna be one hell of a show!! We are honoured that Dave took time out to give us this interview – much appreciated mate and good luck with the rest of your plans for the next expedition! 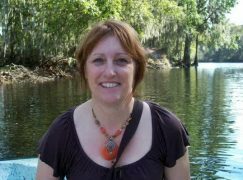 On another, yet very related note – we can now announce that Yasmin Jensen from Torquay, Devon has just won a pair of tickets to the Adventure Travel Show! Congratulations Yasmin! Thank you to everyone who entered the competition and told us, quite rightly, that the capital of Australia is…Canberra! The rest of you can still bag yourself some discounted tickets by quoting ‘LGA’ when you book. Just call 0871 230 7159 or visit www.adventureshow.com to find out more!